As of October 17, 2018, cannabis is now legal in Canada. One consequence of this is that employers are now having to figure out its impacts on drug and alcohol testing in the workplace. The ability of individuals to use cannabis must be balanced with the right of an employer to maintain a safe, drug-free working environment. To ensure the latter without infringing on the former, employers should be concerned about whether an employee is impaired from performing the duties of their job. The analysis is difficult, however, because unlike alcohol, there is no clear consensus on what constitutes marijuana impairment. Although urine tests are one common way that testers evaluate impairment, it is not the most reliable measure, as THC can remain in your system for days, weeks, or even months after use. Arbitrators have consistently held that something more than a positive test for cannabis must be relied on to prove an employee was impaired at work. Due to this, the best preventative measure is to carefully train managers and human resources personnel to monitor and record tangible evidence of a worker’s impairment, including the smell of cannabis, out of character behaviour, eye discolouration, poor muscle coordination, and delayed reaction times. 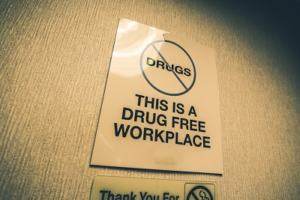 Due to the difficulty of establishing impairment, employers are more likely to be able to rely on breach of a drug and alcohol policy to justify employee discipline based on a positive drug test than impairment. This applies in both non-unionized (Stewart v. Elk Valley Coal Corp., 2017 SCC 30 (CanLII)) and unionized contexts (Tolko Industries Ltd. v United Steel, Paper And Forestry, Rubber, Manufacturing, Energy, allied Industrial And Service Workers International Union, Local 1-425, 2017 CanLII 79297 (BC LA)). For example, in Tolko, the grievor was reversing a log loader when he collided with a chip loader operated by another employee resulting in major property damage. Post-incident testing revealed that the grievor had cannabis in his system, but the Arbitrator held that this alone could not justify discharge since the test does not prove current impairment. However, the employer argued that the discipline had been based not on allegations of impairment, but instead on the grievor’s breach of the drug and alcohol policy. The Arbitrator interpreted the policy to prohibit an employee from testing positive, and accordingly found that some discipline was appropriate in the circumstances. Instead of discharge, a five-day suspension with a two-year ban on operating mobile equipment was substituted by the Arbitrator (which was the appropriate discipline for the grievor recommended by the company’s Human Resources Manager prior to discharge). The Arbitrator also imposed a condition on the grievor that he had to yield a negative drug test prior to returning to work. As cannabis becomes more readily available, employers should carefully consider whether their drug and alcohol policies and procedures require updating to ensure they can be relied on when disciplining employees. A common example of outdated language is a policy which prohibits “illegal drugs and alcohol”, since now, such a prohibition will not capture cannabis.